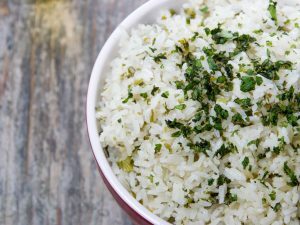 What a lovely and delicious rice preparation! 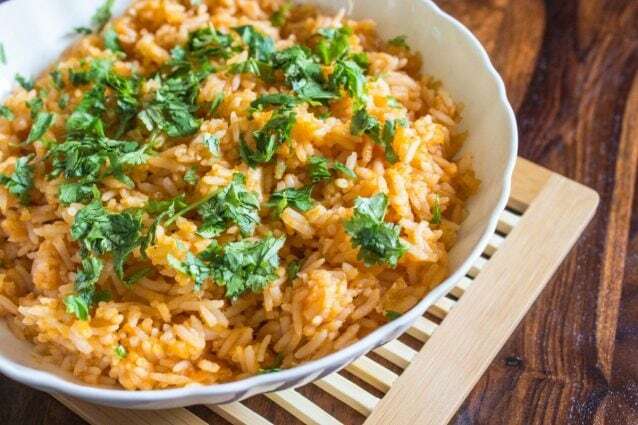 This Mexican rice preparation is screaming Mexico as it has all the typical Mexican ingredients…tomato, onion, lime, garlic, and a hell lot of cilantro! Fill a large pot until half with water. Put the pot over heat and let the water boil. Add washed red tomatoes to the boiling water and let the tomatoes cook in it for 10 minutes or until you see cracks on the outer peel or skin of tomatoes. Remove boiled tomatoes in to a bowl of cold water and let it sit in cold water for about 2 to 3 minutes. Peel the blanched tomatoes and roughly chop them in to large chunks. 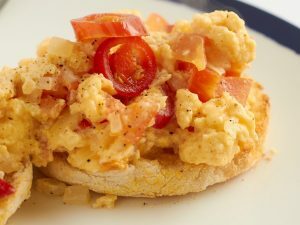 Blend the chunks of blanched red tomatoes with roughly chopped onion until the mixture is smooth and without any lumps. 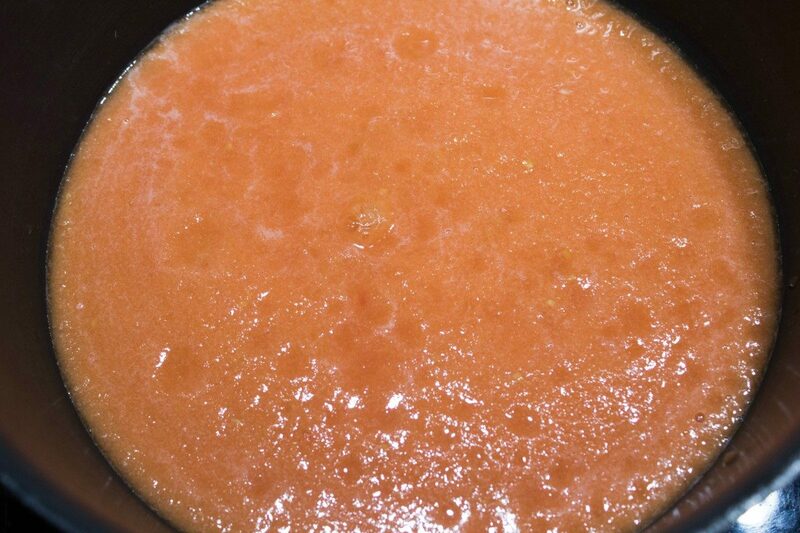 Transfer the tomato and onion mixture in to a large pot and add the chicken stock, salt, and cumin powder to it. Cook the tomato mixture on medium flame until it starts to bubble. Meanwhile, add cooking oil to another pan and heat it. Add the drained rice, minced jalapeno, and garlic to the hot oil and cook everything for 2 to 3 minutes while stirring it constantly. 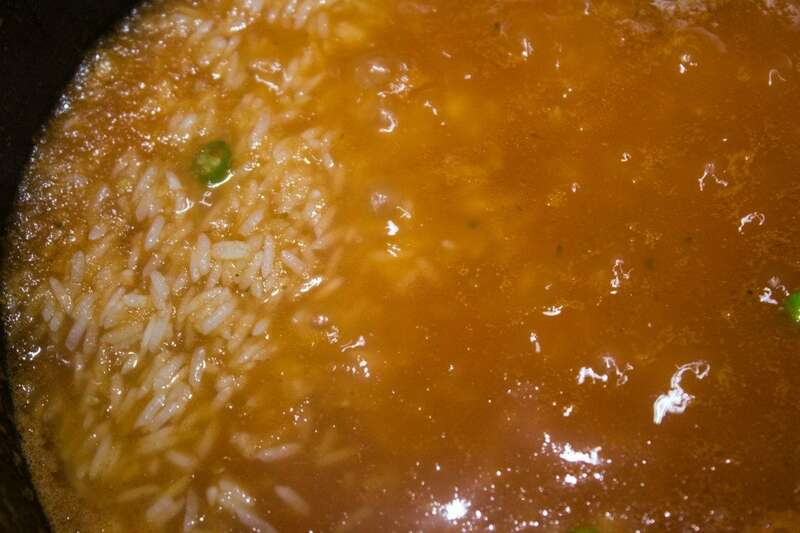 Transfer the rice mixture to the bubbling tomato mixture. Adjust the seasoning and then cover the pot and cook rice on low flame until it cooks. 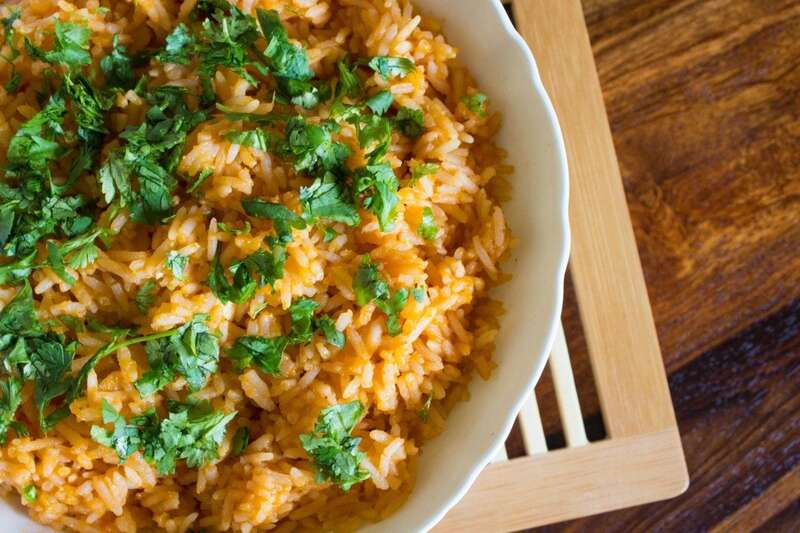 Once the rice cooks, drizzle the lime juice evenly over it and fluff the rice using a fork. 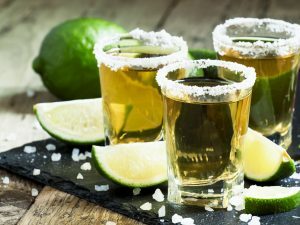 Transfer in to the serving bowl, garnish generously with chopped fresh cilantro and enjoy! 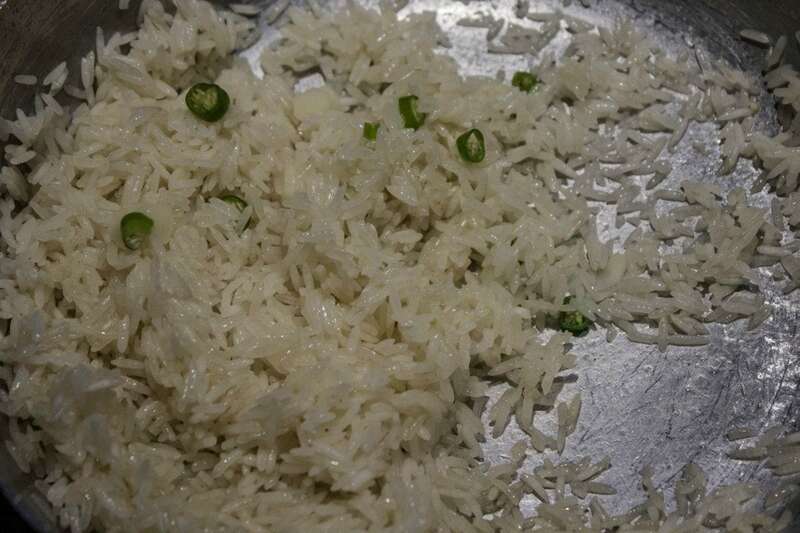 You may soak the rice for about half an hour and then drain and use it in the recipe. 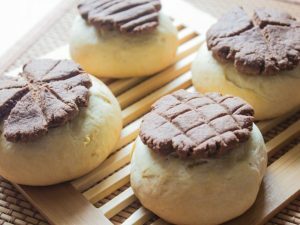 Ideally, this dish is prepared using white rice, but you may give it your own twist and prepare it using any type of rice as per your preference.